Medications that Cause Tinnitus: Is It TRUE? 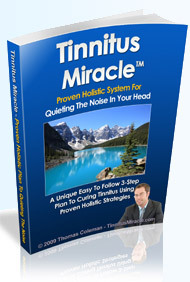 Amazing as it may seem, there are hundreds of syrups, capsules and other forms of medicines that causes tinnitus . If as an informed consumer you care to take the time to read product literature that comes with medications, you will find that several medicines – some of them very commonly prescribed and used, have tinnitus listed as their possible side effects. There is so much study results of medication that cause tinnitus , that there is actually a name for such drugs. ‘Ototoxic’ is a term to describe medicines that cause harm to the structure of the ear in different ways. One of the common side effects of such ototoxic medicines is tinnitus – a condition where a person develops abnormality in the way sounds are produced in the ear and as a results ends up hearing ringing or buzzing kinds of sounds when no external sounds are present. It would be useful to keep certain things in mind regarding medicines that cause tinnitus. · Since a list containing names of drugs that cause tinnitus would be too vast and difficult to remember, it is always a good idea to closely monitor any new developments following a course of medication; especially those involving antibiotics, anti inflammatory drugs, sedatives, anti depressants or aspirin. · When a direct association of a medication in the form of a drug, nasal spray, syrup or injected medication is suspected, it needs to be brought to the notice of a physician immediately. · Any sounds in the ear that is unusual and continues for a few days needs to be checked by a specialist. A doctor might ask you to stop taking a prescribed course of medication and offer alternate medication for the original problem. · Self medication through over the counter drugs should be avoided. Even a common aspirin is known to cause tinnitus . · The temptation of taking recourse to medication and antibiotics for the smallest of ailment can cause many unseen consequences and lead to several other health issues. Sometimes this might be obvious; but at times the side effect may take its own time to surface and a direct relation between medicine and tinnitus might be more difficult to ascertain. More importantly, tinnitus might only be a sign of initial damage to the ear. If unchecked, the condition can deteriorate. It is always advisable to view all health issue holistically and treat the body as a whole when trying to seek solution to a problem.